In this auspicious day, I would love to share Pal Payasam recipe, which is referred to as the king of payasams. This yummy and favorite dessert is an authentic sweet dish made with milk, rice and ghee…! Try n enjoy this wonderful delicacy..! 1. Wash and cook rice until it is done. 2. Allow to cool and smash well. 3. Heat milk in a pan and allow to boil. 4. Keep the flame in low and continue boiling till the milk reduces to one half. 5. Add the smashed rice, sugar, cardamom pwd and combine well. 6. Let it boil , till the payasam thickens. 7. Meanwhile, heat ghee in a pan. 8. Roast cashew and raisins to golden. 9. Add it to the payasam and remove from flame. 10. Garnish with grated almond pieces. 11. Enjoy it chilled or warm. 12. 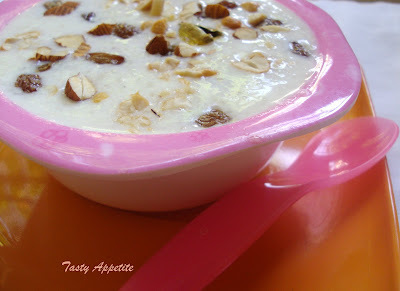 Yummy pal payasam ready to relish..! 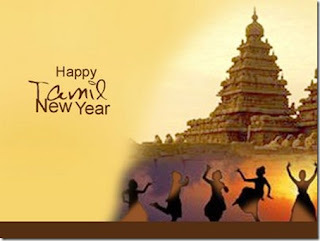 Happy &amp Prosperous Tamil New YearWishes to You All..! Happy new year to you too. yummy kheer. Payasam looks yummy. Happy New Year. 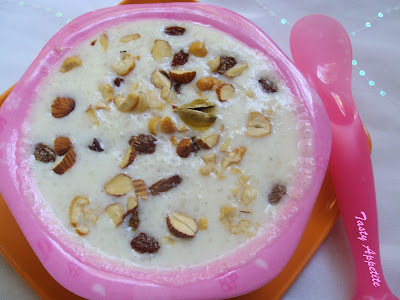 Happy New Year to you and family dear- payasam looks very nicely made n delicious! Super! Thank you for the wishes! Same to you! Yummy Payasam..Happy new year to you and your family. 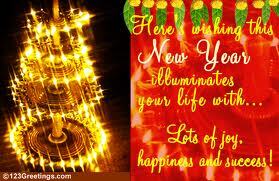 wishing u a happy new year... me loves pal payasam and urs looks superb!!! Happy Tamil New Year! The paal payasam looks creamy and yummy! Pal Payasam looks delicious.Please pass the vessel in which you have made it to me. Thanks for sharing this yummy sounding recipe! Happy New Year! Happy new year to u n ur fly too Jay!! Happy Tamil New year to you also dear !! 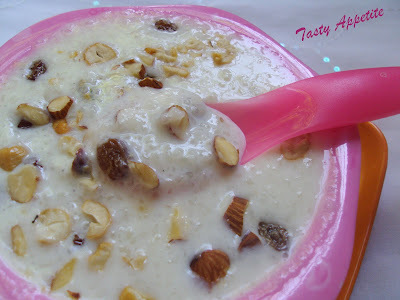 Payasam looks so delicious !! So creamy and delicious payasam...Prefect for this new year celebration..
Pudhu varudal vazhthukkallukku nanri! I made pal payasam too! happy new year jay.. kheer is yum ! new to ur space n happy to follow u..for more wonderful recipes.. Happy Vishu & new year to you & your famliy...Payasam looks yummy. Delicious payasam, Happy New Year ! Payasm look so yummy and creamy.Wish you and your family a wonderful New year! Happy tamil new year to you and your family. paal paysam looks delicious. hey same 2 u as well....love the payasam. very happy new year to you too Jay looks divine! superb payasam....looks so tempting and delicious!! Happy New Year to you and your family! Wishing you love, good health and prosperity. The pal payasam sounds similar to our rice pudding but so much flavourful with the cardamom. I also love the crunchiness you must get from the nuts. Very nice payasam!! Looks delicious! !